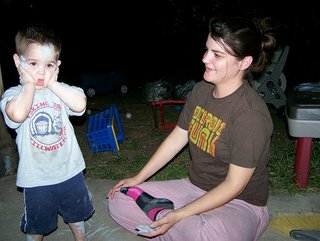 Just wanted to share this picture, Jennifer was covering him in chalk. It was hilarious. I use to love drawing with sidewalk chalk,I have a lot to look forward to with Ava!